We help brands find their way home. but that your customers connect with you in a more meaningful way. We have been lucky enough to have worked with Annie Smithers since 2011 when she had Annie Smithers Bistrot in Piper St Kyneton, through to being there from the very beginning at du Fermier and most recently, the purchase and development of Babbington Park Farm. We have helped Annie with many areas of her business and generally we just get in and do what needs to be done. Designing logos, menus, produce packaging and labels through to wine lists, websites and developing a range of masterclasses. We even designed, edited and produced a small travel and recipe book called “An Insider’s Guide to Gascony”. Annie is an absolute pleasure to work with and we love the chance to hero her magnificent skills with beautiful photography to her adoring fan base which gets stronger and stronger every year. We have worked with YBR for many years now. The breadth and scope that YBR offers is truly inspirational. — Annie Smithers. Chef. Author. Farmer. Loved dearly by visitors to the region, Lost has always been the go-to guide for what’s on, what to do and where to find what a visitor most wants. Lost showcases all the region has to offer including those things that are hard to find, so that every visitor to the region finds the best places to eat, drink, relax, indulge and explore. In September 2017, we undertook a radical transformation of Lost Magazine. We acknowledged that it was a much-loved monthly publication and advertisers were getting great results. But its small format meant that it was losing relevance to readers as only small snippets of information could be conveyed rather than considered editorial. We increased the size to A5 and completely redesigned the book. Printed on thick, uncoated stock, the magazine now carries 5 long-form stories every month along with the popular 5 Reasons To Visit, monthly recipes and cocktails, markets and the business directory - Guide to Where to Find It. Richard Cornish was brought on as Editor At Large. It relaunched in September 2017. Distribution increased to 8000 magazines per month and a new website was built and launched. Since then, the readership has grown from 4000 to over 20,000 per month; social media followers are now nearly 5,000 from a paltry 280 followers, 6,5000 unique website visitors every month and the most recent readership survey found that over 84% of readers had visited a restaurant, cafe, business or venue as a direct result of reading about it or seeing an advertisement. A truly fantastic result. We received a call from the Marketing Manager at Extended Families Australia to "help us update our website". What started as a simple phone call quickly developed into a wonderful relationship with this incredible organisation. We started working with them immediately - delving into their brand, what they stand for, who they want to be - and developing a bold new brand essence for the organisation. One that truly captures the heart of what they do and why they do it. From this new brand essence came a beautiful new brand identity along with marketing collateral and of course a new website. In early 2017, we launched a new fully integrated and fully responsive website that allows Extended Families to communicate with their audience in a way that they have not been able to do before. Prospective volunteers will be able to undertake a short simple learning module to determine if Extended Families is the right fit for them. Families with a child or young adult with a disability will be able to learn about how to navigate the NDIS and what Extended Families can offer them that no other organisation can. And families already registered with Extended Families will be able to jump online to find the latest information about programs, as well as reserve spots in upcoming events and outings. Prospective donors and supporters will find an easy to navigate section where they can easily donate as a once-off or sign up to become a regular monthly donor. The website fully integrates with in-house systems including SalesForce and is incredibly easy to operate, meaning that with very minor training and guidance, staff can update content easily and quickly. 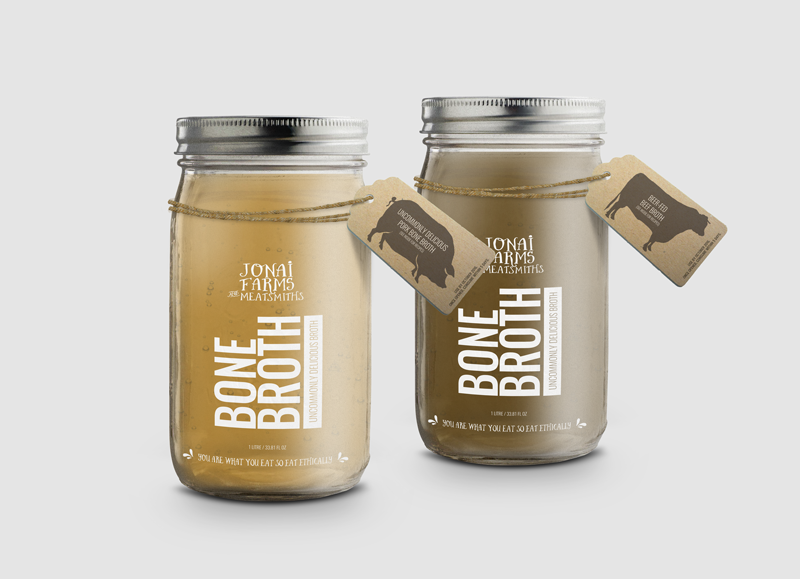 Yellow Brick Road Agency took on the challenge in 2015 to work with Extended Families to align the brand strategy and rollout a new website and brand identity. With each brief (big or small) they worked tirelessly to ensure the best outcomes for the organisation and the attention to detail has been very impressive. Sarah’s compassion, empathy and desire to positively affect the lives associated with Extended Families has enabled her and the team to produce great work. All of the terrific work has built a solid foundation that will enable us to increase awareness, recruit more volunteers and expand our reach into the fundraising space. Liberating the value of video. Piksel has been building successful online video businesses for over a decade. Their offering of strategic, professional and managed services is underpinned by the Piksel Palette’s SaaS-based infrastructure. It’s this recipe that enables their media and entertainment clients to prosper in today’s video market. Piksel’s unrivalled expertise is in designing, building, managing, and investing in online video solutions for the likes of AT&T, BSkyB, Channel 4, Liberty Global, Mediaset, OSN and Transavia. Headquartered in New York City, Piksel offices can be found throughout Europe and the Americas. We work closely with the Piksel team across all of their offices to develop powerful and compelling campaigns, exciting and informative collateral, and a full range of communication solutions - bringing beautiful brand work together with communications that frequently have to outline very complicated and technical solutions. Kerrie Stanley is one of Australia's leading milliners. She had an established brand however her visual identity no longer matched what this brand was. We worked closely with Kerrie to develop a new modern logo, stationery, advertising collateral and an e-commerce website. We are excited to be working with Kerrie as she grows her business further in 2015 when she launches some new projects including the brand development of a new diffusion range an expansion of her existing Designer Hat Hire business. A business within Piksel, Piksel Faith works directly with the Faith industry in America and across the globe. Providing solutions for ministries to extend their communications beyond the four walls of a traditional brick and mortar church, Piksel Faith are now world leaders in creating Digital Church™ technology for their clients. We have assisted Piksel Faith to develop their own beautiful brand. One that steers clear of cheesy messages with overtly religious stereotypes. We have developed a brand that speaks to the new digital audience of ministries and the faith industry. The Jonas Family are ethicurean farmers raising pastured rare-breed Large Black pigs, Lowline and Murray Grey cattle on the side of a volcano just outside of Daylesford, Victoria on a beautiful property known as Jonai Farms. Their happy pigs are fed on a diet of GMO-free grains from the region, including spent brewers’ grain from Holgate Brewery in Woodend plus any surplus local potatoes, fruits & nuts. Their cattle are 100% pasture raised but also enjoy brewers’ grain when the pigs don’t hog it all. They butcher and sell their ethical meat at the farmgate and will soon be producing their own range of salami and cured meats as a result of crowd-funding their new salami room. 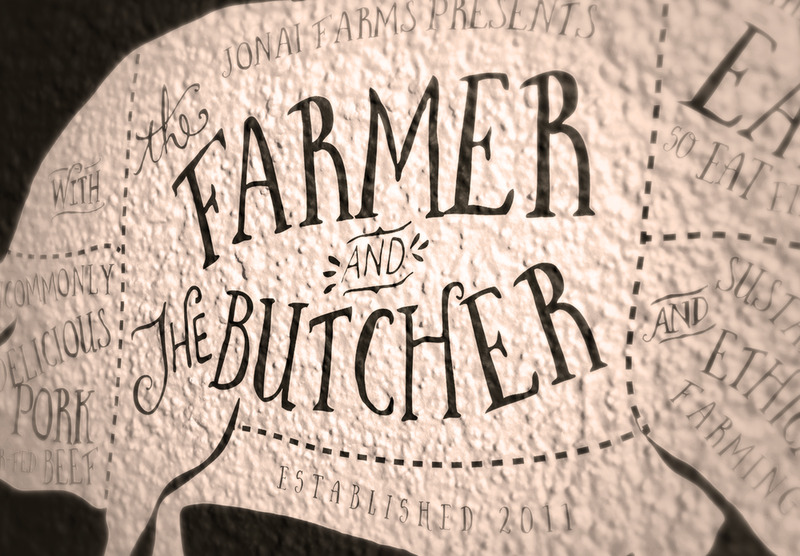 Jonais Farms was an established business and brand without having done any work on logo design. We helped take their existing brand equity, along with their dedication to an artisan approach to life and created a beautiful new look and feel. Daylesford Hotel is one of the Daylesford's oldest most established hotels. Rebuilt in 1913, the hotel recently underwent a complete restoration and refurbishment by publicans, Graham Bamford and Anne-Marie Banting. The hotel now offers a truly classic Aussie pub menu, many areas to relax, dine or simply enjoy a beer, elegant and traditional pub-style accommodation along with regular live music. 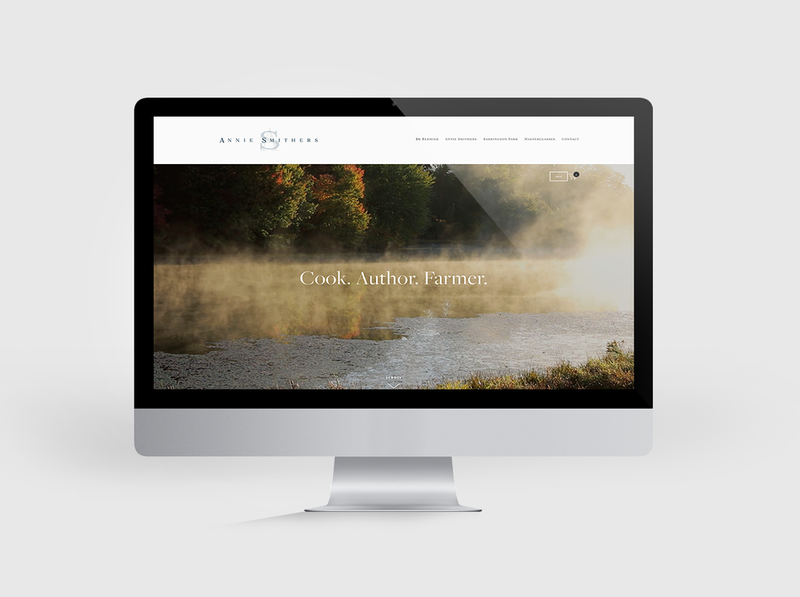 We have been working closely with Daylesford Hotel to establish their presence and voice on social media and then slowly develop their collateral and website so it all comes together cohesively and matches the great feeling you get when you step through their doors. The building has always been an icon in Country Victoria's busiest tourist town. The business is now an icon as a great pub to stay, play and eat.